, the 97 orchestral musicians and four winning soloists are now hard at work to ensure their finale performance in Sydney on March 20 is nothing short of extraordinary. 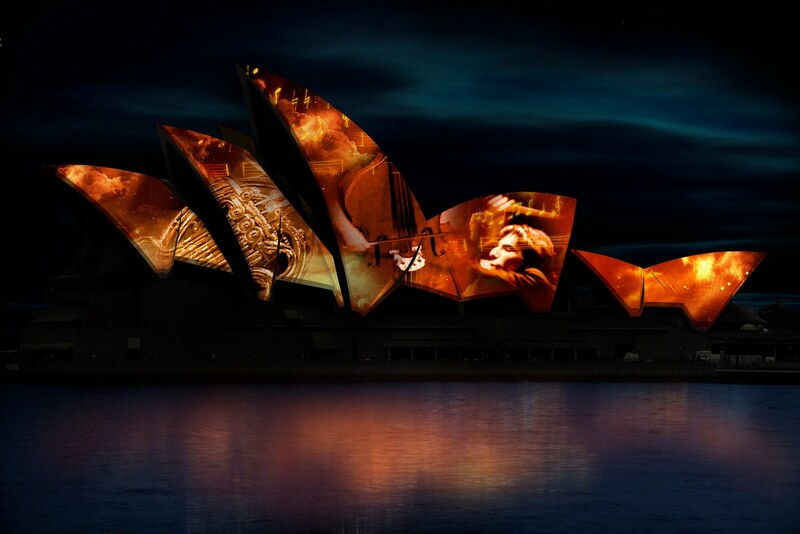 This week marks the final phase of their journey: A seven-day festival of music, creativity and technology in and around one of the world’s most iconic symbol of the arts, Sydney Opera House. They’ve arrived from all over the world, speak multiple languages, and bring with them diverse musical and cultural insights from around the globe. And their days have been filled with experiences they’re sure to carry with them beyond Sydney — from the first rehearsal inside Sydney Opera House under the baton of Michael Tilson Thomas, to a trip to the zoo to pet the marsupials and feed the giraffes. We’ll be following the orchestra all week to find out how the collaborative work of these musicians, who met in person for the first time just days ago, translates into a single finale performance, brought to life through real time projections on the sails of Sydney Opera House. The grand finale on March 20 will be live streamed around the globe on youtube.com/symphony. Want to know what the orchestra is up to this week? Follow us on twitter (@googledownunder, #ytso) and be sure to tune into youtube.com/symphony for daily highlights from around Sydney! This weekend, 101 musicians from more than 30 countries descended upon Sydney to form the YouTube Symphony Orchestra 2011. After a process of online auditions, public voting, and decisions by our orchestra partners and conductor Michael Tilson Thomas, the 97 orchestral musicians and four winning soloists are now hard at work to ensure their finale performance in Sydney on March 20 is nothing short of extraordinary.